The show on Fire-y- tale celebrates the discovery and use of fire – one of humankind’s greatest feats that fuelled our journey from cave man to modernity. 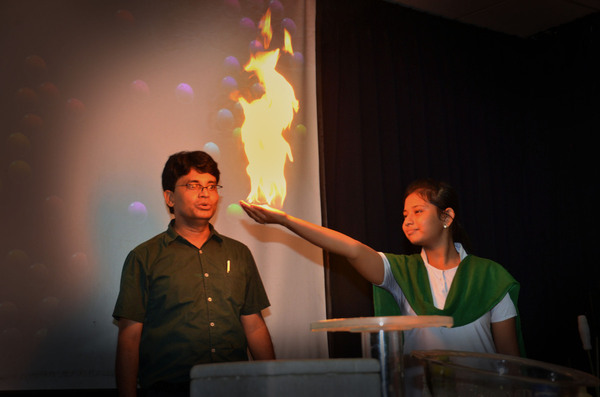 Different laws of physics and chemistry related to fire are explained through exciting experiments. 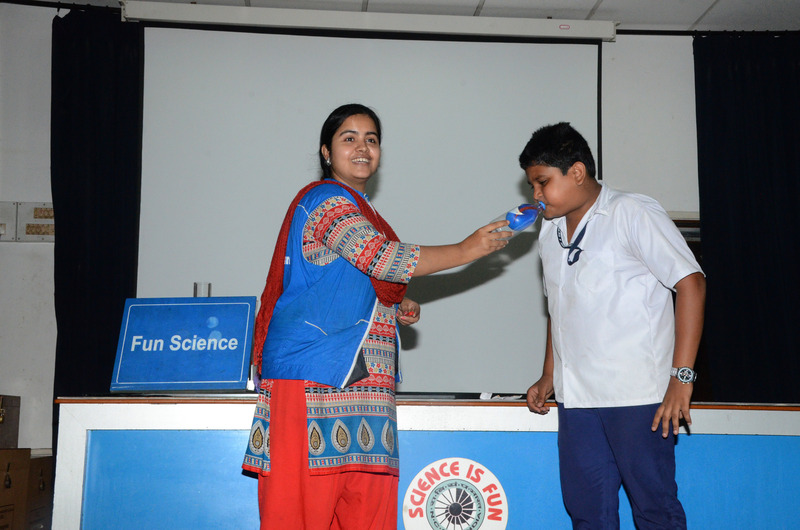 Select demonstration experimentsthat explain the underlying principles of various phenomena in science in a very enjoyable way. 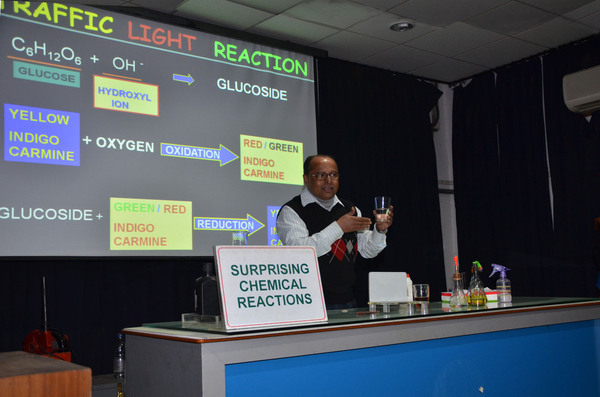 Unique demonstration experiments in chemistry that are surprising, entertaining and highly educative. 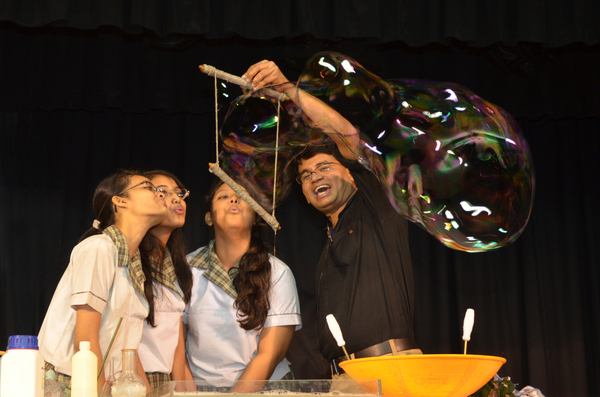 Demonstration of a selection of mesmerizing experiments that appear to be magical and miraculous. 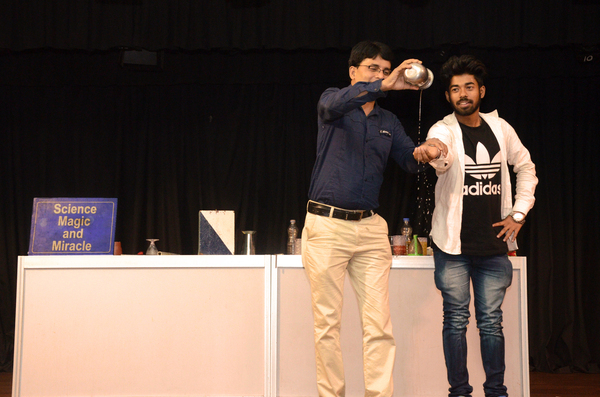 But unlike in a magic show, here you discover the underlying science behind the magic and miracles. 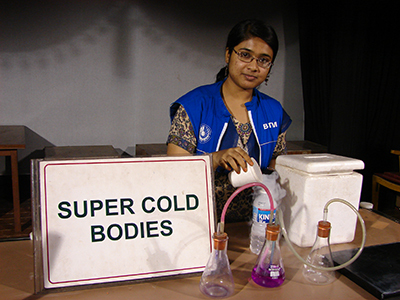 A set of unique experiments that demonstrate how differently thingsbehave atvery low temperatures. 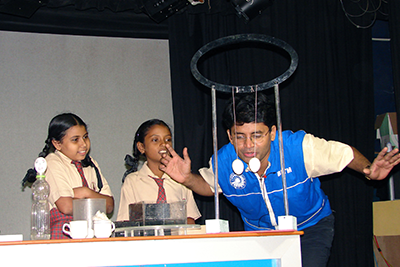 Watch this breath-taking show andlearnabout the physical changes that take place in ordinary materials and how unexpectedly they behave at around –196° C.
A hot favourite of visitors of all ages, the show presents a dramatic demonstration of surface tension using soap film -mind-blowing demos and experiments that will simply mesmerize you. Show time: : On prior booking for groups only. 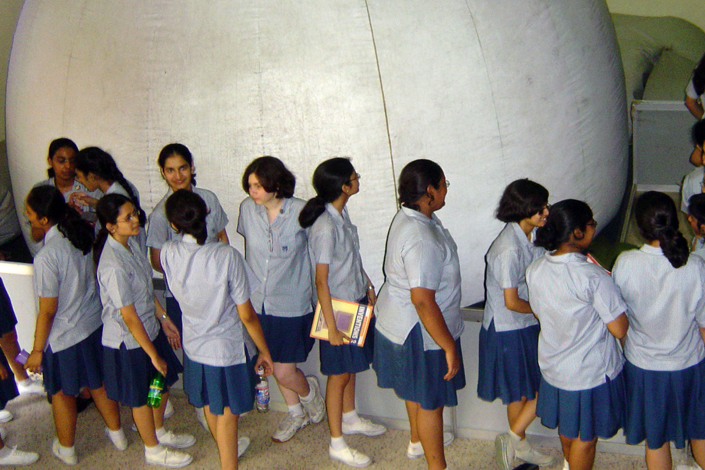 Duck into our inflatable dome and learn about the stars and constellations of the night-sky over Kolkata on that day. 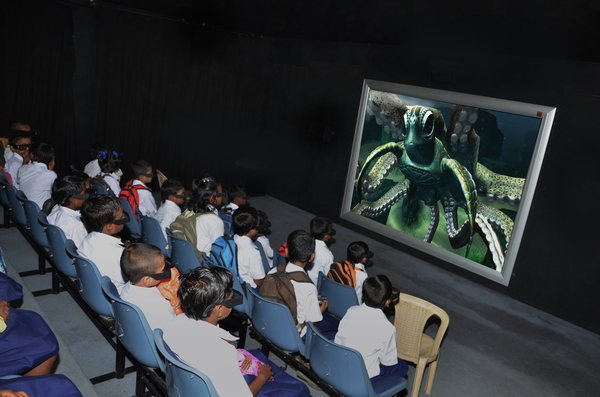 Enjoy a fast-paced, entertaining and immersive film with stunning 3D effects in a specially designed theatre meant to heighten the effect.